The Math Mom: Online Math Games: Bad or Good for your kids? Online Math Games: Bad or Good for your kids? You get a link from your child's teacher. 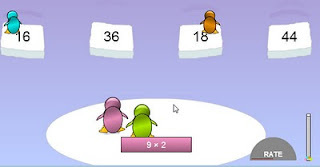 You load the page and easily interest your 8-year-old in the selection of colorful and innocent math games. Alien addition, sailboat subtraction, penguin multiplication, drag race division and tens of others. You point her to multiplication that you both have spent the entire August practicing. You patiently wait while she spends 5 minutes on choosing the color for her penguin and then leave her in front of the naive penguins jumping from iceberg to iceberg. You go to fill the dryer with laundry or check your email with a cup of coffee. When you return, you are most likely to find your darling in front of youtube, pbskids, frustrated and certain that she is bad at math. How did this good turned bad so quickly? 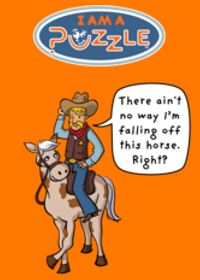 I have always been ambivalent about recommending online math games. CD-ROMs - yes. We have a few excellent ones in my household and both kids enjoy playing them for hours. They are grade-based, start you on the Easy level, and do not rush or humiliate you. With online games it is a different story. Many of them, such as recommended at my kids' school Academic Skill Builder Games take into account the speed of answering along with the correctness of results. Every game is a race where for starters you are guaranteed to come last unless you are choosing a game way below your skill level. The timer is rushing you. You notice the red, blue and green penguins are getting ahead while your pink cutie is sinking in the water each time you confuse 6 x 1 and 6 + 1. No time to recover. You press the wrong button again, you squeak in frustration, you lick your tear. Game is over. Your name is last in the results list alongside the naive little pink penguin. Math is fun, isn't it? A perfect five minute scenario for a quick bloom of serious math-phobia. Beware of online math games. Never ever let your kids start them alone. Instead - demonstrate and test the game on yourself first. Let kids see you struggle with the keyboard, the rules of the game, the penguin sinking disaster, let them see you lose and not give up. It may take a few trials. When you finally manage to finish first, play it together with your kid with one of you answering and another pressing the buttons. Finished in the first three? This is fun. Now you both are ready for the full transfer of the game power to the kid. The level is right, the rules are clear, kid has warmed up and ready for an exciting math practice. If you are away at work and have to instruct your kid to play such games remotely - recommend to them to start on a very easy level way below their grade skills, carefully reading the instructions and slowly raising higher as they get more comfortable and confident with the speed and rules of the game. These are my thoughts. Teachers and parents - what is your experience, strategies, trials, errors and successes in the online math gaming world? Nice, nice! Now I get what I’m looking for. This post helps me now on what to do about online games. Thanks a lot for sharing your time and effort to people like me. I hope I can read more of your incoming post. Do you think that kids really learn much from these games? My son's school keeps assigning games for homework, but I find these games very distracting. Instead of actually thinking about the math, my son ends up thinking much more about things such as how to design his airplane, and instead of being rewarded for actual mathematical thinking, he gets punished for not moving his plane fast enough to avoid strikes of lightning. Some of the games are okay, but I worry that the actual math gets drowned out by all the flashy visual stuff. Personally, I prefer workbooks that have far fewer distractions. Also, I think that workbooks help kids to develop their powers of concentration and attention. These online games just leave my son (and me) frazzled.